This tamperproof version of our popular Themeboards range has the added advantage of lockable doors to protect the information on display from casual interference. Quality construction with 2 matching locks per door. 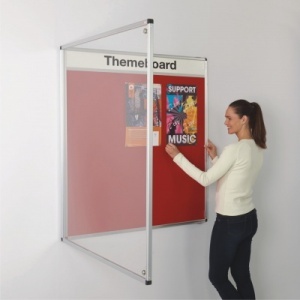 It features full length glazing bars and quality hinges for extra stability. The Themeboard Tamperproof Noticeboards give you the chance to personalise or customise your displays. 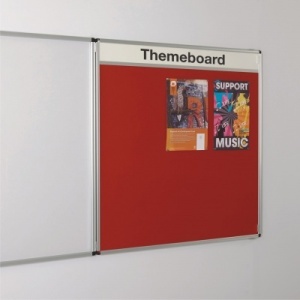 These boards have a 200mm deep header area with a drywipe surface which can accommodate any title of your choosing - name, class, department, house or any other theme. 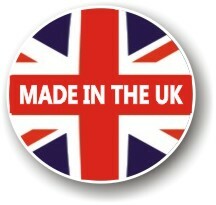 The title can be applied by hand with a drywipe marker pen or your can apply self adhesive vinyl letting or graphics. 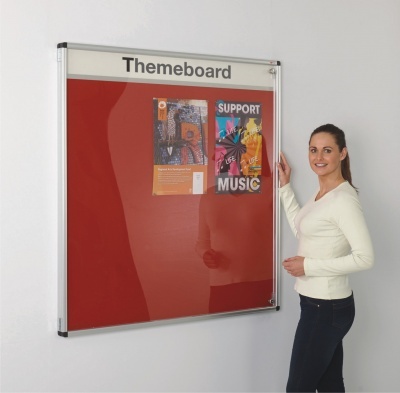 These noticeboards are available in a range of 6 aluminium frame sizes come in a choice of 5 standard felt colours.